Am a new member after a recent purchase of a white 1971 144 from qld that I have brought back to nsw. The car had Stratos seats fitted somewhere in its history and was mod plated in qld. I am going through engineering here in nsw and after discussion with the engineer prior to inspection, he mentioned checking the compliance plate for specific ADR rules (as in adr 6 refers to specific seat mount requirements) and he mentioned if that wasn’t on the compliance plate then likely not an issue for compliance with the seats. The issue is that after checking everywhere (under bonnet, cabin etc) there is only the Volvo plates and no Australian compliance plate anywhere. There also isn’t evidence of any such plate being removed. So my question is if anyone has a 1971 144, would appreciate advice if your vehicle does/doesn’t have the Australian compliance plate and, if it does, where is it fitted. Thnx for the quick response. All of the Volvo plates are there and the car was first registered in nsw so I suspect it may now be what the engineer sees as needed. Hopefully nothing too problematic. Thanks. My 1974 144 has an ADR plate somewhere near the Volvo plate. It's on the RHS near where clutch cable comes through the firewall. I'm nowhere near the car to check, but it think it's pop riveted on the inner guard in the engine bay. I dragged this photo from an old Facebook page. It's difficult to see the plate, but if you look in front of the rear filter, it's there. I have a 1971 144. It's pre compliance, meaning no plate. Technically I can even drive it without the rear seat belts because they were not fitted. But I have. 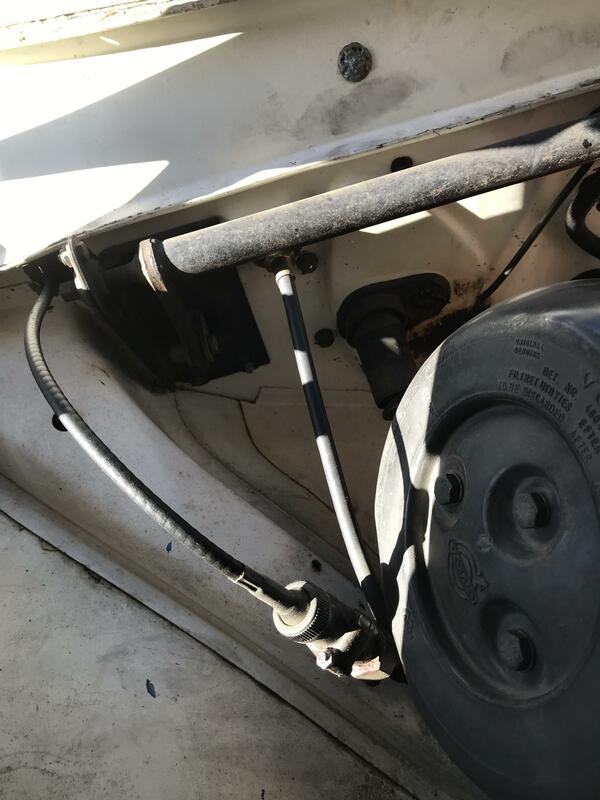 Pre compliance cars have some interesting loop holes, same category as something built in the 1920s. But being safe is the important thing. If it is a private import it will not even have an import plate back then. Thanks for the extra info/pix. Checked all over and def no adr compliance plate anywhere on mine. 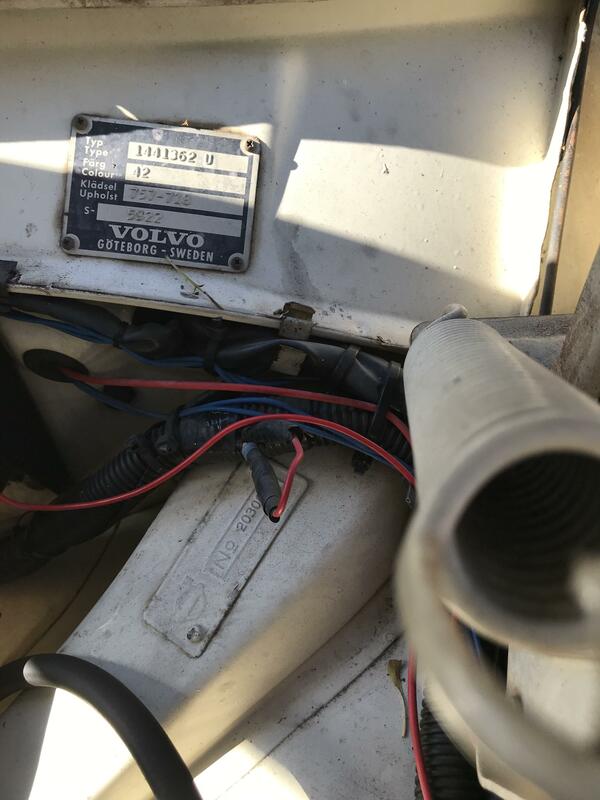 It was supplied new from a nsw Volvo dealer (have the original handbook owner details/first nsw rego plate details) so will throw to the engineer to see what happens. He is pretty easy to work with so will see how it goes, appreciate the responses/assistance. 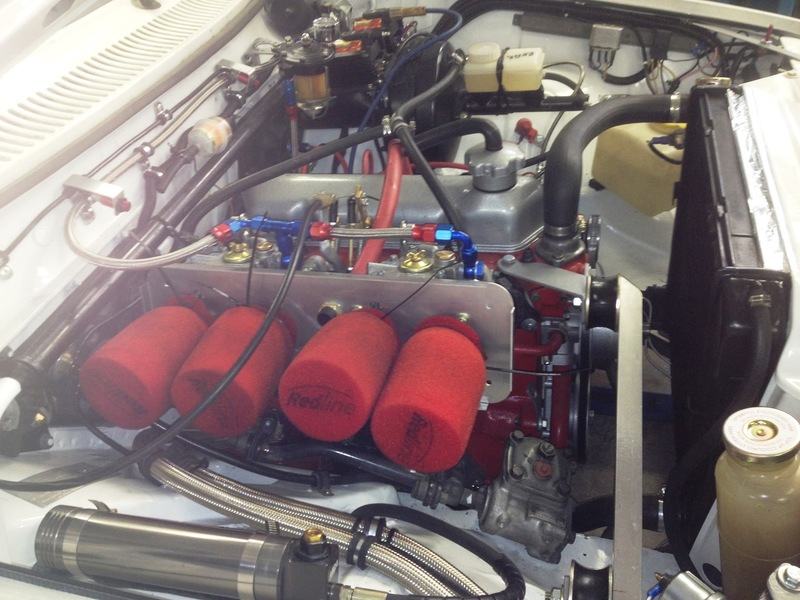 @jrhendo would be interested on info on your carb set up. I have built a few different vehicles (my current other garage vehicle is a “performance modified 71 240z) and keen to learn more on the 144. Re my carb setup, nothing fancy. Twin webers on Lynx manifold with weber twin cable linkage. I replaced the 144 accelerator pedal and rod setup with a 240 one and made the linkage to go to the cables. In the photo is what we were using when we built the car for Sydney London rally in 2014. Filters actually used were a big box from Unifilter with a secondary cover. When we rebuilt the engine last year for Peking Paris 2019, I changed the filter to use a air box with a pod in front. This was because the old secondary filter was a PITA to replace because it was very close to the brake cross bar. If you want to hunt through facebook, search for 'John and Jeff do Sydney London 2014'. At the beginning is lots of detail on how we built the car. Also 'John and Lui do P2P2019' has some more recent stuff. thanks for the redirects to the FB pagers - some great shots. The Sydney to London looked like a great time. Very envious. Have been "playing:" with cars since late teens through Datsun 1600 club rallies and then a 240Z some 10 years ago which, after a rebuild, became a once a year charity rally vehicle. 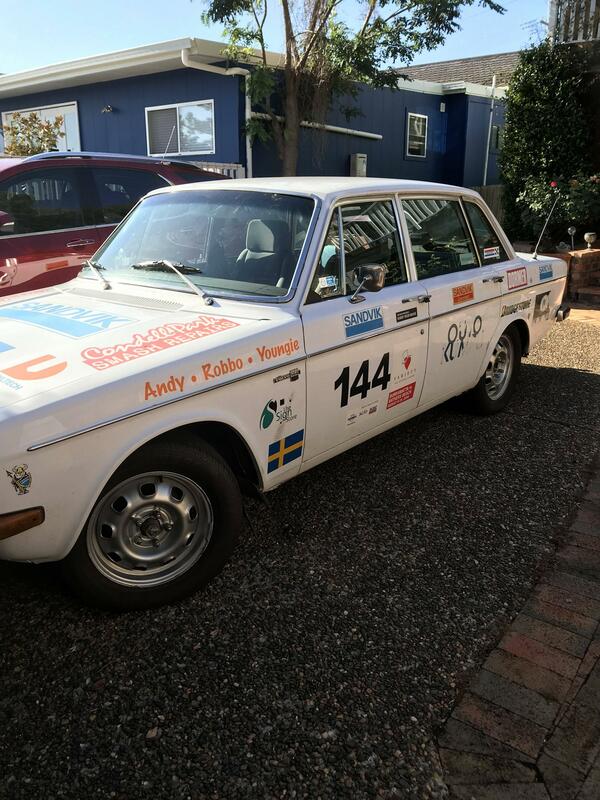 the Volvo is going to pick up that activity from this year to support The Starlight Foundation. Went through all the pix and could see some very helpful areas to look at. The events we do now are around 3500km in a week with about 80% off bitumen so prep is needed, while nowhere near the level you have done. I like to be over prepped and enjoy the running, so really appreciate the view of those pix. There might also be something of interest in 'John and Jeff do COT 2018', which has a bit about what we did to the car before COT 2018. I was really using COT as a shakedown for P2P. Little did I know how effective it would be. I did these facebook pages so buddies could follow what we were up to. 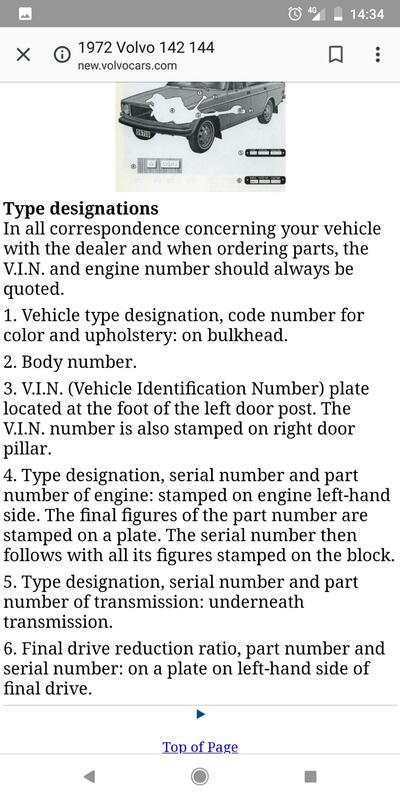 I believe that imported cars did not need to have ADR Compliance plates until mid-1972 or early 1973. Definitely sure that an imported 1971 model would never have had a compliance plate. thnx for the comment. The engineer has recognised that around that time, some did, some didnt. He said he has seen 1968 VW's and 69 holdens with, while a lot more without. I have the vovo booked in Tuesday for the inspection and, today after getting the ADR certs from Stratos for the seats, I am looking much better for the engineers side (the effort with Stratos was "interesting" but they came through which was good - not bad for seats fitted maybe 10 plus years ago). From my discussions today with the engineer, and with the info I now have at hand, sounds like the process will be a but (hopefully) easier. Thnx to all for the input/advice. VW was assembling vehicles in Melbourne back then, therefore had compliance plates. Volvo was fully imported until 1972 when they started assembly in the same factory as Datsun and VW to make use of a favourable tax position. The same practice is still employed in South Africa. Compliance plated vehicles normally had the plate pop riveted to the subframe box section under the bonnet. Have owned 3 140 Volvos of the 1970-1 (2 142's and 1 144) era and none of them had a compliance plate because as someone noted they were all fully imported. One had twin Strombergs the other SU's but the last, a 144 auto, had a single Dellorto on a Lynx manifold the original single SU and manifold was in the boot when I got it. The second 142 was the most interesting as the head was pre the bigger valve head and had been modified to take, I think, bigger Holden valves which had thicker stems than the Volvo ones. This is now a much loved car which has been well restored by a friend. The other aspect of this car was it had a GT dash and a Mota Lita steering wheel when I bought it, the latter sadly lost in the Brisbane flood of 2011. Just recommissioned an Alfa 33 for my sins but it is running well including, surprisingly, the electronic dash. Whoops as i have just written elsewhere, the first 142 of the above had the D-Jet and o'drive, the 2nd Strombergs converted to twin SU's.